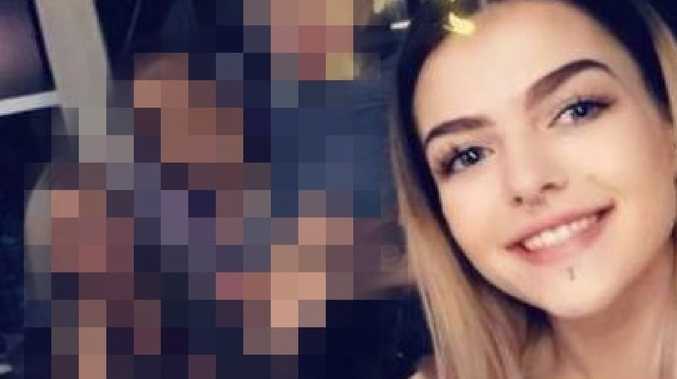 A 17-year-old girl killed in a Melbourne crash has been remembered by friends as someone who could always "put a smile on your face". 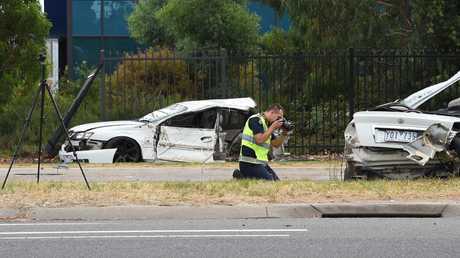 Nikkita-Lee Wells was a passenger in a car that crashed with another on Stud Road at Rowville about 12pm on Sunday. Shattered glass and debris still covered the footpath, 24 hours after the three-car smash. Police believe a third car was also involved and drivers from each of the cars - a 27-year-old man, 19-year-old woman and 26-year-old man - were being interviewed by police. 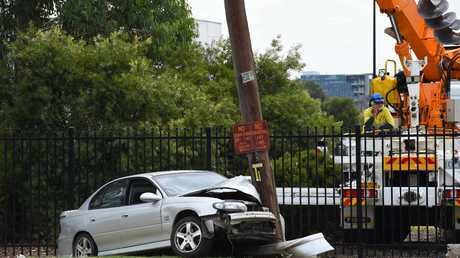 One of the vehicles was torn entirely "in half" after it crashed into a power pole. 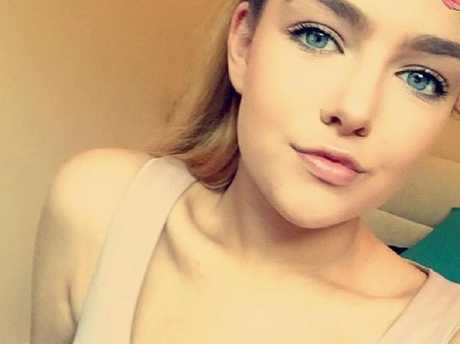 Keira Willis only saw her friend a week ago. Nikkita-Lee Wells was a passenger in a car that crashed with another on Stud Road. "Breaks my heart to see you gone so fast," she wrote in an online post. "Will always miss you. Fly high beautiful." "Rest in paradise beautiful," friend Mollie Rose wrote, before adding: "I'll forever cherish my moments with you." 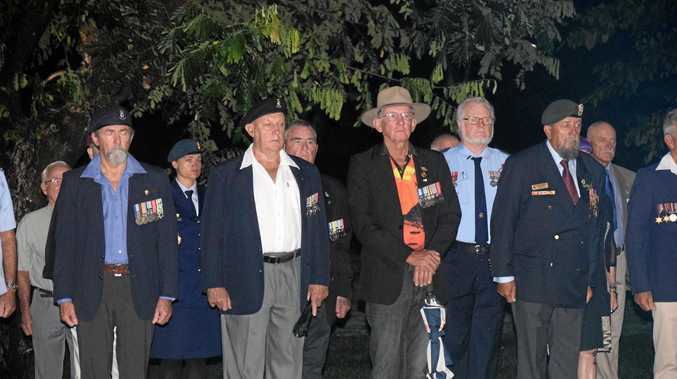 "After hearing what I thought could only be a nightmare unfortunately was true," Alex Mouw wrote. "Yesterday we lost a beautiful young girl who always brought joy to those around her." Another friend told The Herald Sun "She could always put a smile on your face." "No matter the circumstances, she could make you smile." Detectives from the Major Collision Investigation Unit were leading inquiries. "I can tell you speed appears to be a factor in this collision," Acting Inspector Peter Trichias said. One theory is the two cars were racing each other moments before the horrific crash. 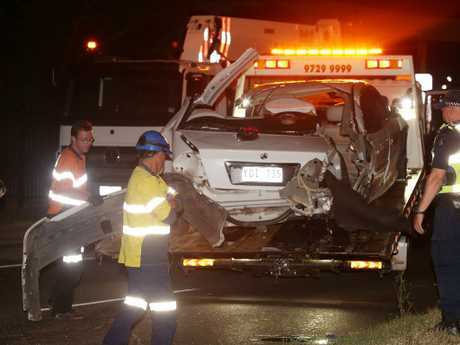 Two cherry-pickers and two tow trucks were used to remove the wreckage of two cars last night. Victoria's road toll stands at 46, up from 28 the same time last year.